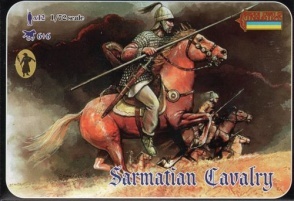 020 Sarmatian Cavalry - Strelets-R Russian company. - Production limited 2012 Contents: 12 figures all in different poses. Material: Plastic.